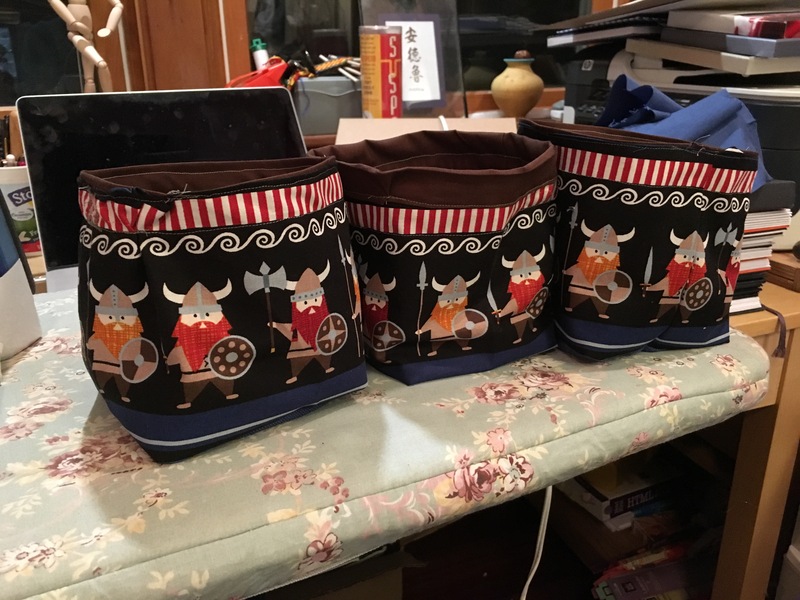 What does one do if one has cute fabric suggestive of viking warriors on a rampage, but not very much of such fabric? I mean, I suppose they could be bags for a set of runes. There are 26 runes, or something like that, that are used in the mostly-modern divination sets that people use for a heathen-themed form of fortune-telling or divination. I had enough fabric for three. And maybe a half. 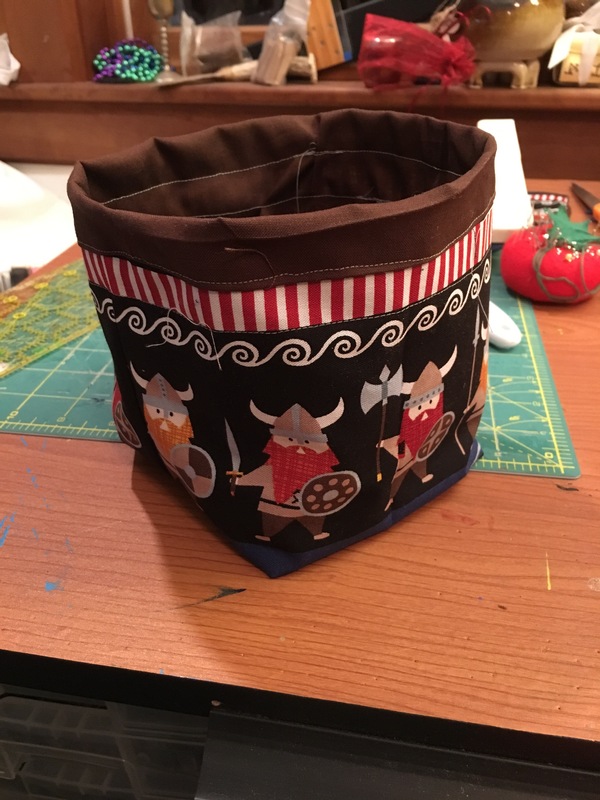 I’m going to have to be clever with some other fabric to make the other half useful — Maybe I can find some “castle wall” fabric so that the warriors look like they’re standing behind a wall, defending the tower that they’re on top of. Otherwise, I have a strip of fabric that’s too thin to do anything with. I think I’ll be able to finish at least one other quilt before the weekend; the third will have to wait until next week. I’ll be showing off both in a post early next week, I think, but a lot depends on the weather and on other aspects of my life coming together. A fair bit of measuring went into the original design of this bag, but after that it was mostly just straight sewing on the sewing machine. There was a lot of pinning, and a few buttonholes… Buttonholes, man. I did my first one yesterday — there will be a post about that tomorrow or the next day — and now I’ve done close to twenty. I still can’t do them very well, but I’m getting better at them.